From the TOUS Eklat collection, a creation that blends warm and cold, and modernity and tradition. 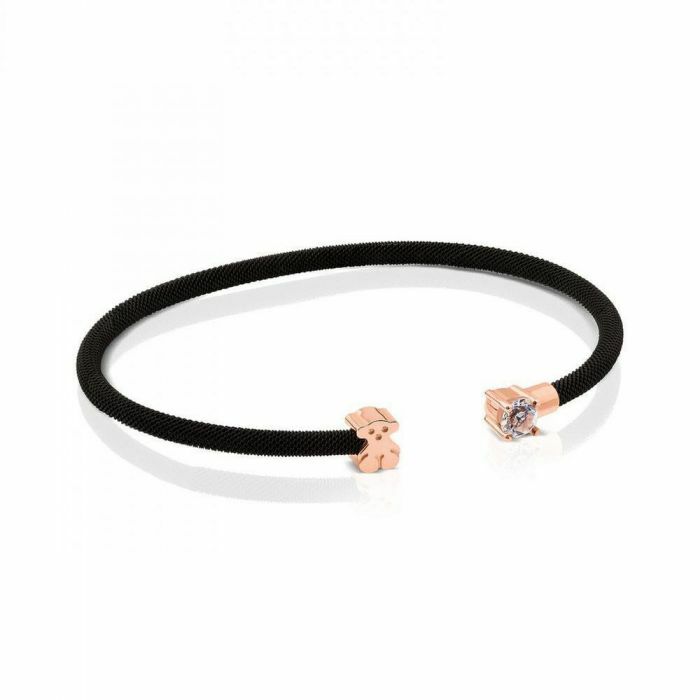 This dainty open black ion-plated stainless steel bangle features an iconic TOUS bear in rose gold-plated sterling silver on one side and a round cut topaz gemstone on the other. This unique style is great worn alone or paired with other TOUS styles. This bracelet measures 6mm to 3mm in width.